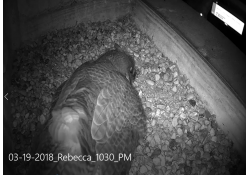 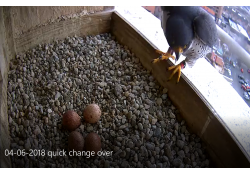 Rebecca has kept us all in suspense for the last week wondering when the first egg would be laid. 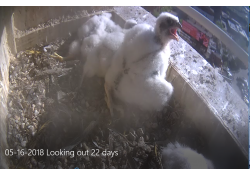 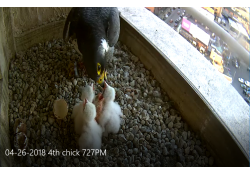 The chicks are about 16 days old now. 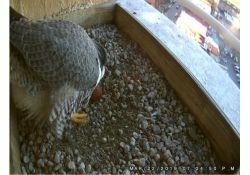 The last egg hatched today shortly after 7 PM. 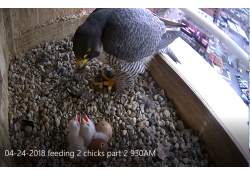 What an exciting day. 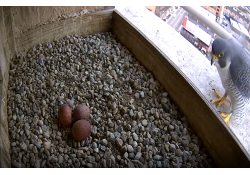 Three eggs have hatched. 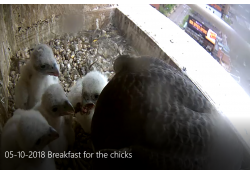 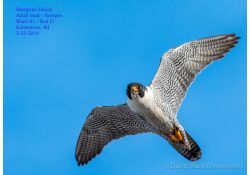 The Peregrines in Michigan (and elsewhere) have braved some very tough weather in the last week. 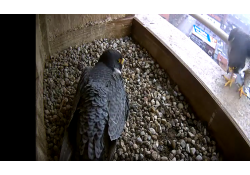 The cold windy weather continues in Kalamazoo.